Shown here in Medium: Approximately 24mm X 24mm plus substantial bail. Also available in Petite (see Charms), Large (31mm X 31mm plus bail) and Statement (40mm X 40mm plus bail). May be left plain or engraved. Engraving is complimentary. 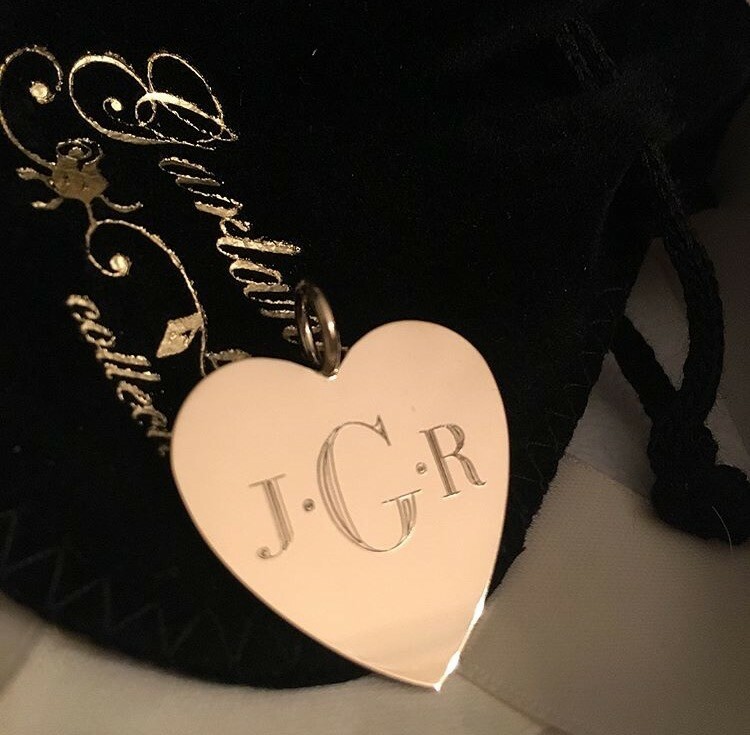 Examples: Names, Monograms, A + B = C (parents' initials = children's initials), line from wedding vows or song in script, short personal notes in script. 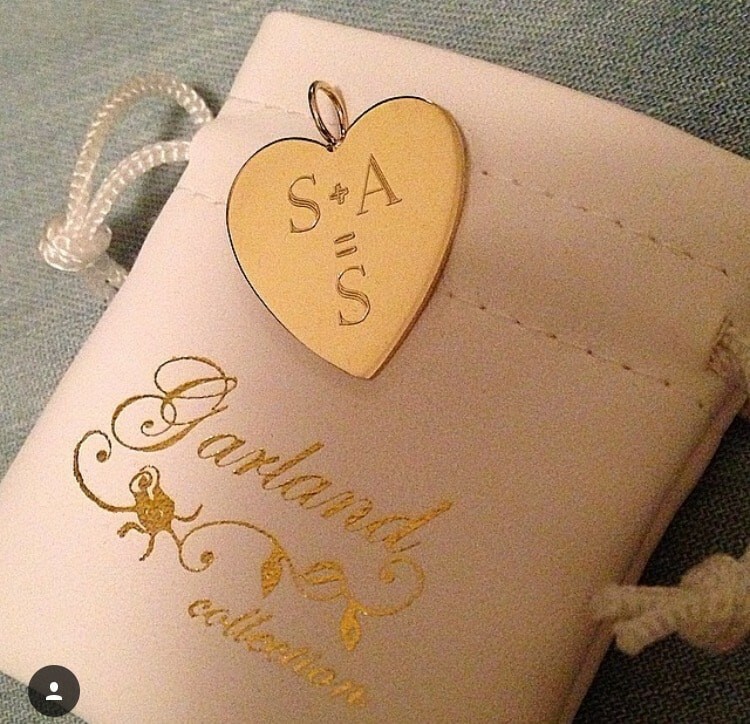 For questions regarding engraving, please contact sales@garlandcollection.com.